Award winners for the 2019 Full Frame Documentary Film Festival were announced at the festival’s annual Awards Barbecue today. Full Frame is a qualifying event for nominations for the Academy Award® for Best Documentary Short Subject and the Producers Guild of America Awards. The 22nd annual festival, which ran April 4 – 7 in Durham, N.C., presented nine awards for a combined value of $55,000 in cash prizes. 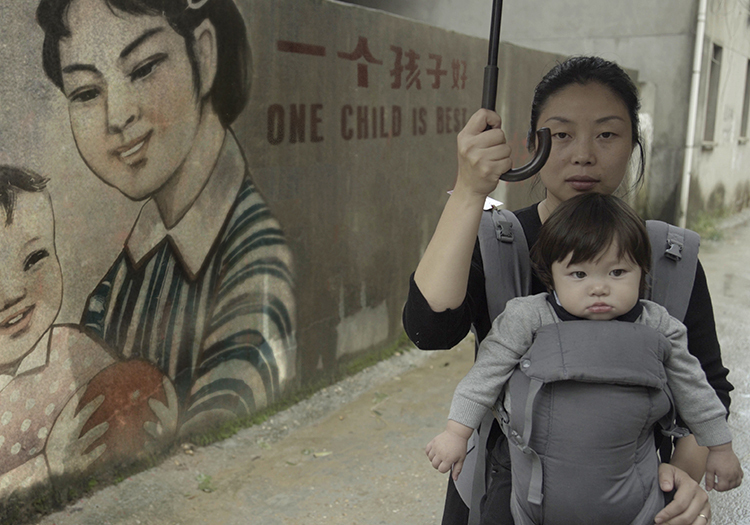 The Reva and David Logan Grand Jury Award was presented to One Child Nation, directed by Nanfu Wang and Jialing Zhang. Remarking on One Child Nation, the Grand Jury members said, “We want to honor a film that we universally feel is powerful and insightful. Our favorite documentaries take us into new worlds and break open narratives that we only understood on a surface level. This film personalizes the political by taking us deeper into the personal costs of that policy. The level of inquiry in the film is vital—the film raises profound questions about personal responsibility, morality, and government abuses. One Child Nation resonates with an authentic voice that allows us to examine the world around us and ourselves in new ways.” The award is sponsored by the Reva and David Logan Foundation. Marshall Curry, Peter Nicks, and Jennifer Redfearn participated on the jury. The Full Frame Jury Award for Best Short was presented to GIVE, directed by David de Rozas and Obon, directed by André Hörmann and Anna Samo. The Full Frame Jury Award for Best Short is provided by Drs. Barbra and Andrew Rothschild. The jurors were Maori Karmael Holmes, Kris Liem, and Olympia Stone. The 2019 Full Frame Audience Award was presented to Kifaru, directed by David Hambridge in the Feature category, and Life Overtakes Me, directed by John Haptas and Kristine Samuelson in the Short category. The Full Frame Audience Award – Short is sponsored by Thunder Mountain Media. The Center for Documentary Studies, of which Full Frame is a program, considers all films in competition for its Filmmaker Award. The committee, comprised of representatives from the Center for Documentary Studies, awarded its 2019 prize to Sahra Mani for A Thousand Girls Like Me. The Charles E. Guggenheim Emerging Artist Award honors a first-time documentary feature director. The 2019 award was presented to Tania Hernández Velasco for Titixe. The award is provided by the Charles E. Guggenheim Family. Roopa Gogineni, Alison Kozberg, and Jeff Reichert participated on the jury. Representatives on behalf of the President’s Office of Duke University juried the prize for the Full Frame President’s Award, given to the best student film. This year’s award was given to One Thing in Nothing, directed by Whitney Legge. The 2019 Full Frame Environmental Award, presented by the International Fund for Animal Welfare (IFAW), was given to Kifaru, directed by David Hambridge. The jurors were Tim Metzger, Ian Olds, and Elaine McMillion Sheldon. Mossville: When Great Trees Fall, directed by Alexander John Glustrom, received the Kathleen Bryan Edwards Award. Provided by the Julian Price Family Foundation, the award is given to a film that addresses a significant human rights issue in the United States. Representatives from the Kathleen Bryan Edwards family juried the prize. Submissions for the 23rd annual Full Frame Documentary Film Festival, which will take place April 2 – 5, 2020, will open in Fall 2019. Encore screening times and venues are available online. The Full Frame Documentary Film Festival’s 22nd annual festival held April 4 – 7, 2019 will showcase nearly 100 documentary features and short films from around the world, some of which will make their World or North American premieres. Festival screenings, discussions, and panels will be held in historic downtown Durham, N.C., including venues within the iconic Carolina Theatre and the Durham Convention Center. Set within a few city blocks, the intimate festival landscape fosters community and conversation among filmmakers, film professionals, and the general public. The 2018 Full Frame Documentary Film Festival yielded over $2.1 million for Durham’s local economy and is a qualifying event for nominations for the Academy Award® for Best Documentary Short Subject and The Producers Guild of America Awards. Serving the local Durham area as well as the documentary film community throughout the year, Full Frame also promotes the festival’s mission by presenting documentary work in the Full Frame Theater and other venues around the Triangle and state. Full Frame encompasses education and training opportunities such as the Full Frame Fellows Program, the School of Doc summer program for teenagers, the documentary literacy program Teach the Teachers for local educators, and the annual Youth Screening, drawing hundreds of students and teachers to the Carolina Theatre for an immersive, instructive experience. Full Frame is a program of the Center for Documentary Studies at Duke University, a nonprofit 501(c)3, and receives support from corporate sponsors, private foundations, and individual donors whose generosity endow the festival’s foundation. To learn more about the mission of Full Frame, visit fullframefest.org.